Mark is not only a specialist for Barndoor Samba dashboards (he reproduces the entire element!) 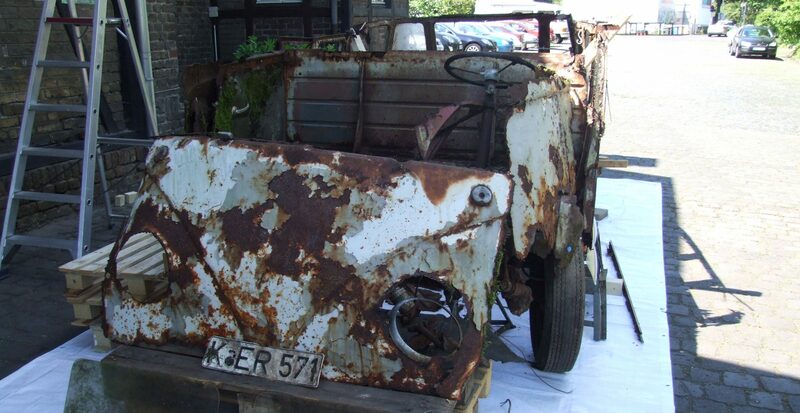 , but he does the same with Barndoor decklids. 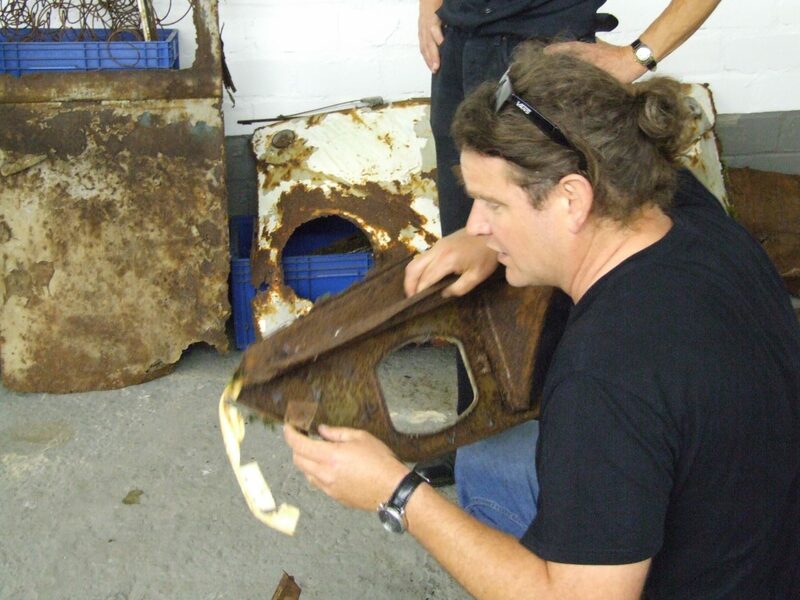 To get the body reconstruction started I gave Mark the decklid of the Samba wreck for restoration. So the decklid is already in England now and Mark promised to start right away. 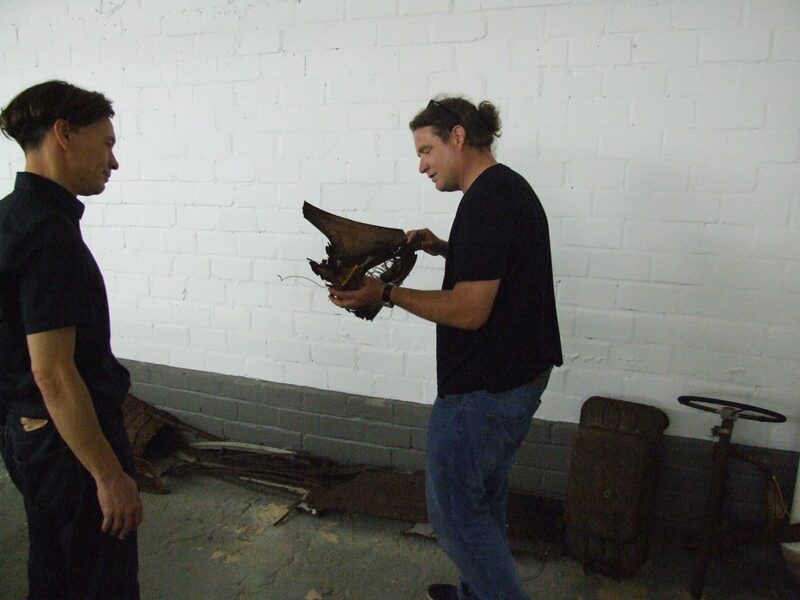 We both think the same way about the style the Samba should be reconstructed: the same way he did the Kohlruss! Not a shiny look-as-new Samba is the goal, but a Samba telling a unique story. 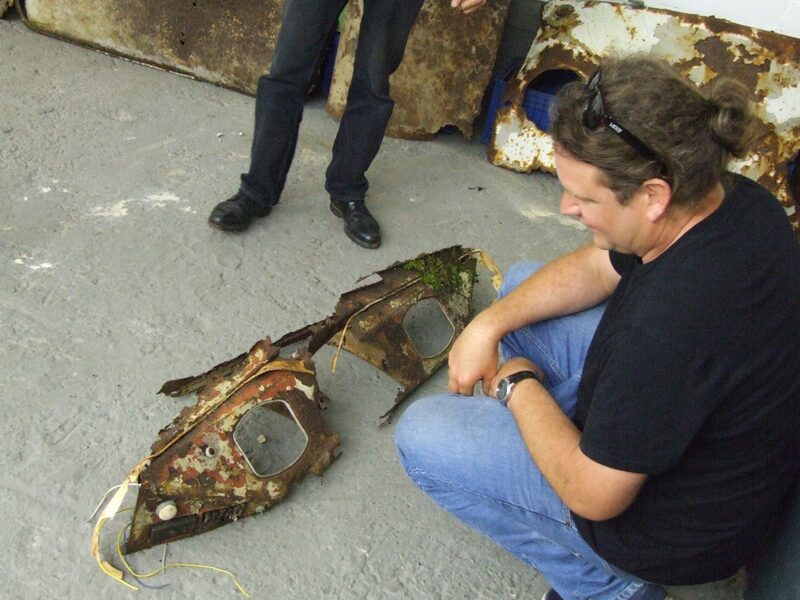 The decklid will be the example of how we would like the whole Samba to be restored. Stay tuned as Mark is probably faster than most of us think. 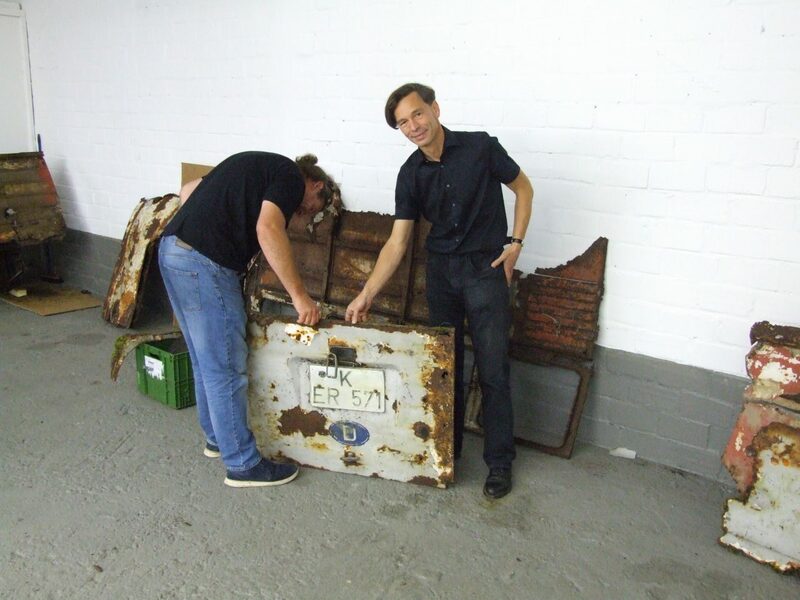 I will show the result of Mark´s work here as soon as the decklid is ready. In the meantime I will take care about the mechanical parts. The starter, the fuel pump, rear shock absorbers, the generator plus D-regulator are the next on the list. All these parts are still the original ones and worth a rebuilding. Read more about it here in this blog soon.